These 16 + 16 session full year courses are for high school and middle school* students wishing to learn and practice Italian online. Other schools require only one course per school year (16 sessions equivalent to one semester). Students get assignments and written homework corrections, complete audio recordings, receive personalized feedback and grades by a US certified teacher, take a midterm test and a final exam. *Middle school students complete a simplified version of the course. The courses include: 16 + 16 asynchronous sessions, 10 self-administered lessons with exercises and exams, 8 assignments, 8 audio lessons, a midterm test, a final exam and other educational materials provided during the course. 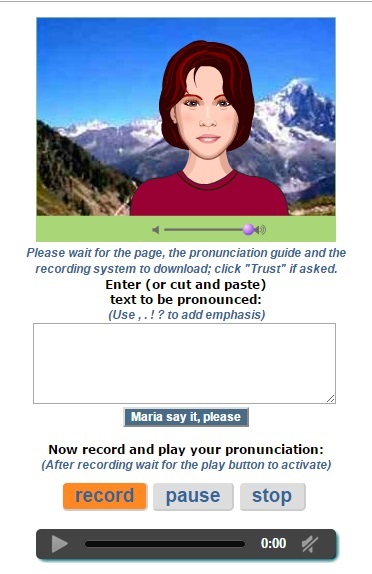 8 audio-lessons: students complete self-administered audio lessons with a Pronunciation Guide and Voice Recorder. Students upload their recording for the teacher for evaluation and grading. Students are required to have a headset/microphone combination for the audio lessons.